In my latest video I explore Jax's arms -- including the spiky version used in his alternate Revenant skin, and also his daughter Jacqui's arms (following in her father's footsteps). <br/> <br/><A Href="https://www.youtube.com/watch?v=Yo9JXlBQakA" target="_blank"><Img Src="https://pbs.twimg.com/media/CqebFGWVIAAOjGK.jpg" width=430></A> <br/> <br/>And of course the history behind them in the older games, as well as other MK media. In my latest video I explore Jax's arms -- including the spiky version used in his alternate Revenant skin, and also his daughter Jacqui's arms (following in her father's footsteps). And of course the history behind them in the older games, as well as other MK media. I liked it, like the others you made. <br/>Good job man! I liked it, like the others you made. Cool. Thanks for the shoutout, lol. 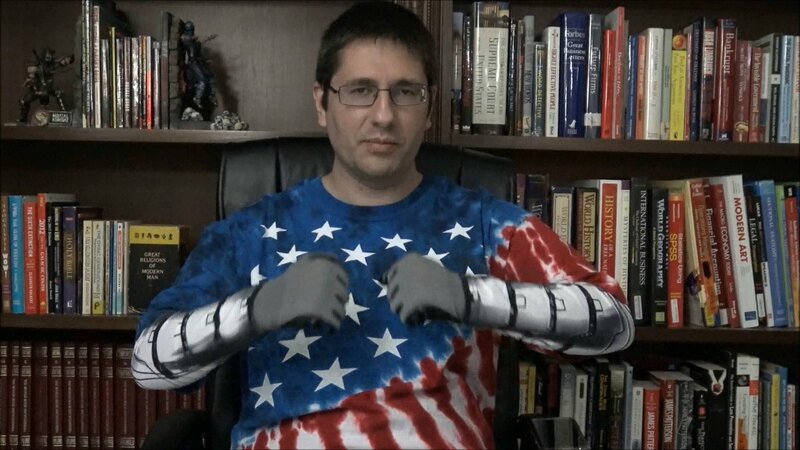 You didn't mention how he was planned for MK1 with metal gauntlets with the name Kurtis Stryker. You're usually up on this type of stuff. Are you ever gonna update the Kombat Pavillion with new komics? Hey, <br/> <br/>That was you? Haha! Well I don't know if I'll go back to comics/animations/etc. I always thought that stuff should have a home, and for years the Pavilion was kind of a central hub for that kinda thing. (As opposed to being scattered across random discussion boards & deviantART accounts). But it became more and more time consuming and I got too busy with life to keep up with it. 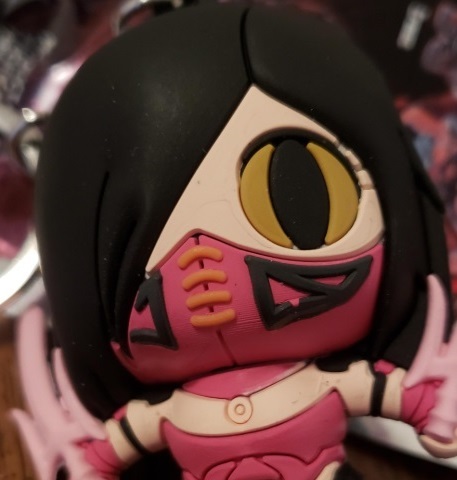 <br/> <br/>And now that I'm back in the MK community and I want to do these videos, well, I don't really have time to do maintain that either. It's either one or the other and right now this is what I want to do. That was you? Haha! Well I don't know if I'll go back to comics/animations/etc. I always thought that stuff should have a home, and for years the Pavilion was kind of a central hub for that kinda thing. (As opposed to being scattered across random discussion boards & deviantART accounts). But it became more and more time consuming and I got too busy with life to keep up with it. And now that I'm back in the MK community and I want to do these videos, well, I don't really have time to do maintain that either. It's either one or the other and right now this is what I want to do. Great video, I've been looking forward to each new video from you. Hopefully the low views don't dissuade you from doing it further, they're very enjoyable. Didn't watch it yet but-- do you talk about how he feels pain when Sindel steps in his mechanical hand? Yeah, I haven't used my old YouTube account with this name in, like, 8 years. I only rejoined with a new account earlier this year, I think. Yeah, life n stuff gets pretty busy at this age. At least you're still active, and informative. Thank you for keeping up the good work, when you're able to. No he didn't. However, real prosthetic prototypes can sense touch/pain now, let alone it's been in fantasy stuff for quite a while, so it's not that weird or out of place. That is true. 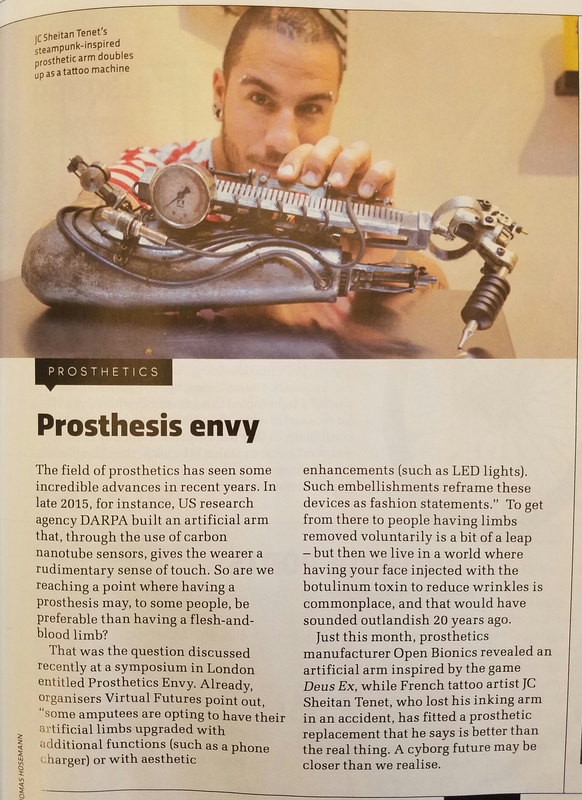 According to the August 2016 edition of the BBC Publication <I>Science Focus</I> (Issue 297, page 25), these modern prosthetics are equipped with carbon nanotube sensors which are able to approximate a sense of touch. 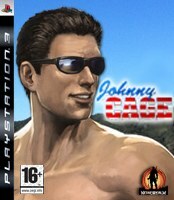 <br/> <br/><A Href="http://tabmok99.mortalkombatonline.com/cybernetic_arm.jpg" target="_blank"><Img Src="http://tabmok99.mortalkombatonline.com/cybernetic_arm.jpg" border=0 width=500 height=687></A> <br/> <br/>Of course, in the future, these will doubtless become even more sophisticated. In the <I>Mortal Kombat</I> universe, their tech is already there. The real world will catch up soon. That is true. According to the August 2016 edition of the BBC Publication Science Focus (Issue 297, page 25), these modern prosthetics are equipped with carbon nanotube sensors which are able to approximate a sense of touch. Of course, in the future, these will doubtless become even more sophisticated. In the Mortal Kombat universe, their tech is already there. The real world will catch up soon. Nice video man. I have to give props to anyone making MK related videos outside of the usual combo vids lol I feel like the history and lore of MK is a been underappreciated sometimes. Thanks. 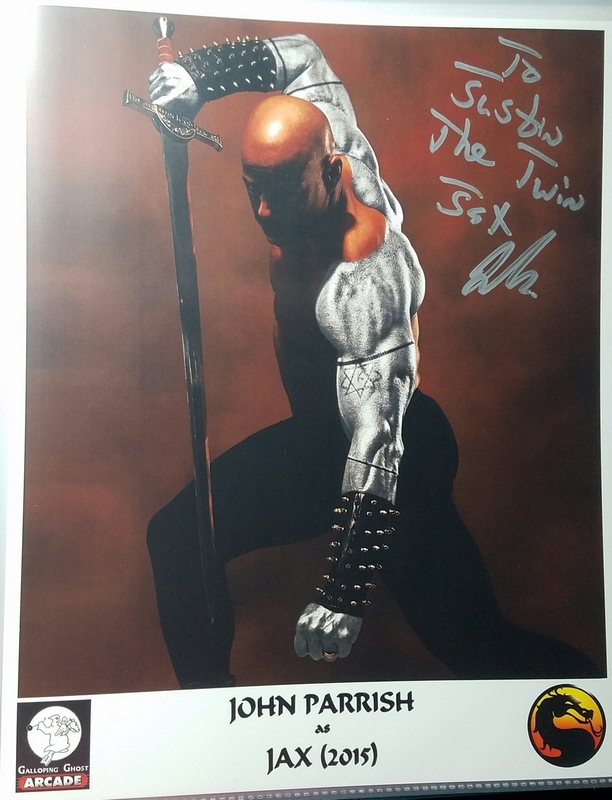 I'm happy to report that when I saw John Parrish at Kombat-Kon, I showed the video to him. He said we were like twins, and he even said as much when autographed his photo to me!